You dont worried about leakage problem of your terrace/roof we can help you Searching for the best roof waterproofing contractors? Build Care is the best option for you. Build care is the most popular roof waterproofing contractors in Kochi, Ernakulam, Kerala.The best services in build care you can trust our waterproofing process. Why Build Care Waterproofing Solutions? Build Care is one of the best leading waterproofing contractors in Kochi, Kerala. 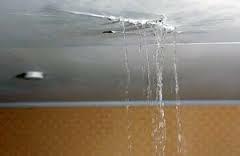 Overall we have solutions for all types of water leakage problems connected with your house or any buildings. 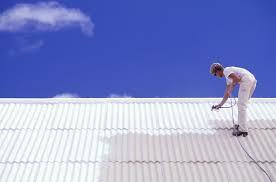 Whether you have an old roof, new roof or even a fancy type roof, we will provide excellent service for you. We follow latest waterproofing methods with high quality materials. Before starting waterproofing treatment, we will check the cause of water leakage to solve the leakage problem permanently. We have highly dedicated and qualified technicians to provide a better assistance for you. Why Roof Waterproofing Is essential? Terrace is the uncovered portion of a house or a building which is always exposed to the climatic changes. If the roof is not waterproofed properly, this continuous exposure will cause severe damages to your roofing and this leads to the leakage of the terrace. It will destroy the life of your home and its beauty. Proper waterproofing will prevent recurrent repair and expenses of your home and improve the life of your building. Roof waterproofing to eliminate the health issues in respiratory related problems. The proper Terrace waterproofing is an essential factor to retain the strength and beauty of your building. We are the best roof waterproofing contractors. You can trust us. We will provide you better assistance and excellent results with our latest technologies. Rake the construction joints to remove loose concrete from the joint. Drill holes and fixing nozzles in construction Joints and patching the joint with cement sand mortar. Grout the nozzles thus fixed with cement slurry admixed with(Non shrink polymeric grouting compound). Clean the RCC Substrate of all oil, grease and loosely adhering particles. Wet the RCC substrate by sprinkling water. Apply 2 coats of(Cement based Polymer/Acrylic modified highly flexible waterproof coating) taking care the subsequent coat is applied after the previous coat is touch dry as per the literature. Glass fibre mesh should be laid between the two coats to impart extra tensile strength to the cementitious coating. The second coat should be followed by third coat after the second coat is touch dry. Apply a 20 mm thick protective layer consisting 1:4:: Cement : Sand mortar admixed with Integral Waterproofing compound at 1-1.5 kg per bag of cement where the RCC has the slope for draining off water. To make the adequate slope by PCC.